One year, one mintage, and this is an extremely rare and valuable coin. The value begins at $1,700 and continues to climb from their. You also have three conditional factors that determine the value of a Flowing Hair, Wreath Reverse, Large Cent and they are: Red (RD), RB (Red-Brown), BN (Brown). A RD coin is going to have at least 90% original luster as struck by the mint and is the most valuable condition. The luster conditions only apply to mint state coins so any circulated coin will be designated BN. These is the different varieties of edge lettering. 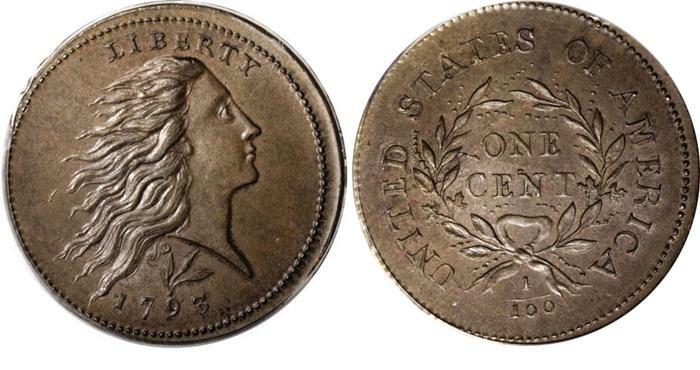 Flowing Hair Large Cent value for Wreath type reverse. Values for all dates and varieties.